Looking for movie tickets? Enter your location to see which movie theaters are playing Easy Rider near you. 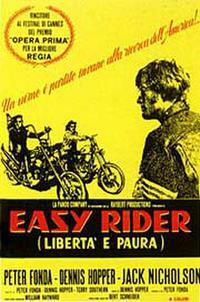 Motorcyclists (Peter Fonda, Dennis Hopper) make a cross-country odyssey.